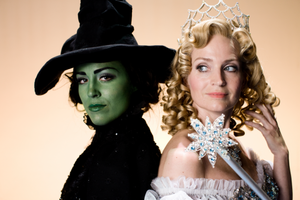 Glinda and Elphaba. . Wallpaper and background images in the Wicked club tagged: photo wicked glinda elphaba. 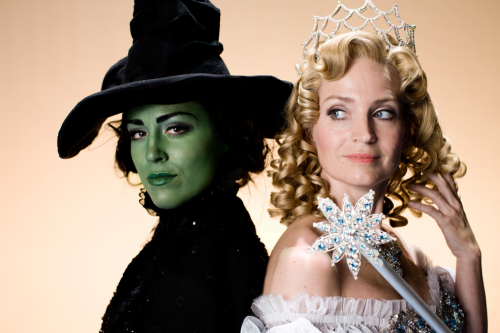 This Wicked photo might contain mantelet, mantilla, and mantilla.